Home > The Best Haircuts & Hairstyles for Men > Man Bun > Men with buns: Are you over it? Men with buns: Are you over it? Not so long ago, it seemed that man buns were everywhere. We couldn’t turn a corner or skim through a street style blog without spotting men with buns in every form imaginable. From a short reverse ponytail perched on top of the crown, to epic doughnut-sized buns that would guarantee the envy of every hipster in a 20-mile radius, man buns used to be the Holy Grail of men’s hairstyles. But does the trend still hold the top spot, or are we already over it? Men with buns: Are we over the trend? When exactly did the man bun become such a popular trend? Maybe it all began when Harry Styles gathered his enviable long locks into a neat bun during a concert in 2014. Or when Jared Leto sported his equally covet-worthy, shiny ombre mane slicked back into a half-down bun on the red carpet… But soon after, man buns of all sizes – from high and tight, to sloppy and unravelled, and everything in-between – could be seen everywhere. However, while the hairstyle seemed like a trend that would last forever, the emergence of the clip-on man bun proved to be its death knell. Not to mention all the inevitable memes that followed, picturing many politicians, from Barack Obama to Kim Jong-un, sporting a top knot. The bun had crossed over from stylish to truly terrifying! After the achingly slow period of growing out your hair to create a bun worthy of the name, why would you want to lop it off? Maybe it was because of the extra maintenance that came with dealing with longer locks every day, or the insinuation that man buns could lead to hair loss by creating tension on the scalp and pulling out follicles (bald patches on your head? Definitely not a good look)… Whatever caused its downfall, by the end of 2015, the trend was definitely starting to fade from our streets and screens. Move over man buns: here comes the man braid. Move over man bun – here comes the man braid! When one trend sees its way out, another is always ready to take its place. And the man braid (oh yes, you heard us right) is here to take the top spot in the list of men’s favourite hairstyles. 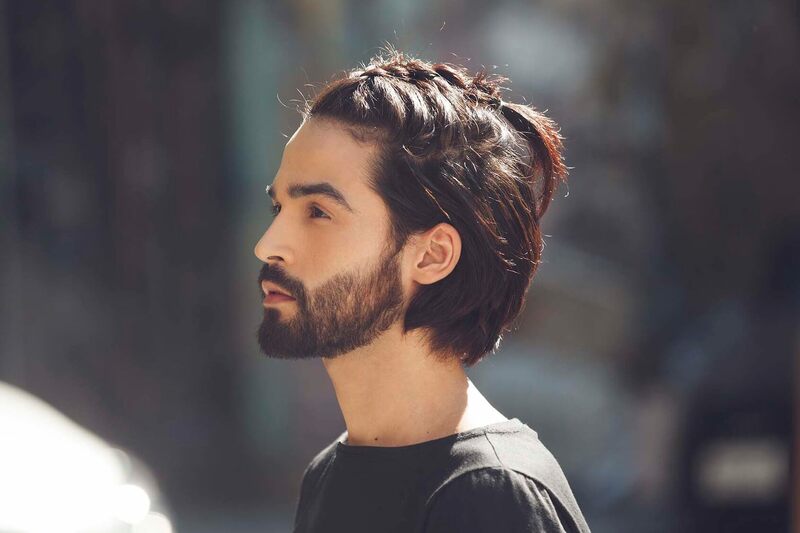 From epic, Viking-style braids for men who haven’t sheared off their longer hair just yet, to smaller, fiddlier micro plaits cropped along the crown, braids have become a great option for those who want to add texture and a serious dose of style to long hair or a sharp undercut. However you style them, braids are, without a doubt, a fun and eloquent way to bring some personality to your look. Just be prepared to invest a few hours watching online tutorials to get the hang of how to perfectly create them. And don’t forget about using the right hair products! Start by prepping your hair with the TIGI Charge Up Thickening Shampoo (£9.95*) and the TIGI Charge Up Thickening Conditioner (£10.95*), which cleanses and conditions your hair, giving it a new lease of life. Once your hair is clean and dry, spritz your hair with the Toni&Guy Men’s Messy Salt Spray (£7.49*), for lived-in texture and grip – trust us, this will make weaving your man braid easier! Or maybe it’s just time to completely let go of long hairstyles and simply get back to those days of freedom with a short haircut. From textured quiffs and slick side-parts, to undercuts and fades, the perfect modern look is looking a little less bun-like! Of course, none of this means you shouldn’t stay in (or join) the men with buns camp. Each to their own, right?